Dr. Michael L. Olson, Ph.D.
" Dr. Olson has a unique gift for helping people determine the heart of the problem, then guiding them in developing strategies to address those problems. " " There aren't really words to describe how caring, compassionate, humble and wise this man is. He is also a person who stands up for truth and justice. He is one of those people who you just want to be with because so much of what he has to say is full of wisdom. On top of it all he LOVES what he does and he is AMAZING at it and he isn't afraid to say that he thinks he does a pretty good job too. " " As a woman I felt uncomfortable going to a male counselor thinking that he could never get it but I have been pleasantly surprised and the experience has been healing. Throughout my time in seeing him I can see a visible change in the people leaving his office. He has taught me valuable lessons that have added value to my life beyond measure. His priorities in his career life are beyond admirable. " We look forward to your upcoming visit. 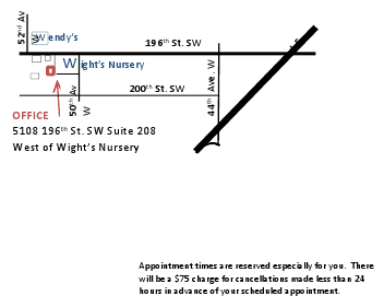 To prepare for your visit, please review the Information and forms on the New Patients page.